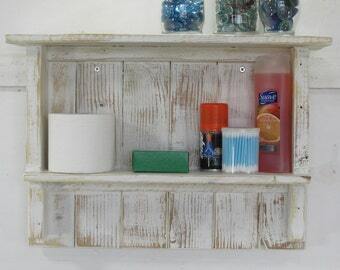 Rustic Towel Rack, Bath Towel Rack, Hand Towel Rack, Rustic Home Decor, Rustic Bathroom, Towel Hook, wall shelf, reclaimed wood, Farmhouse Beach Cottage Chic Bar Measures 36 H x 5 1/2 W x 5 D.
The rolled towels pictured are Bath Towels, the hanging towel at the bottom is a hand towel (to give you an idea on size). 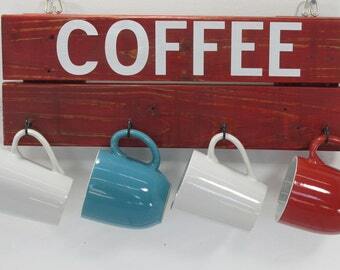 This wall storage unit is great for home, beach house, camp, Air bnb etc. 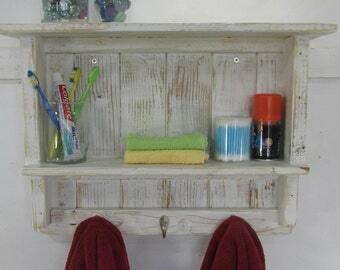 This Towel Rack is made from Upcycled Reclaimed wood from an old Farmhouse. 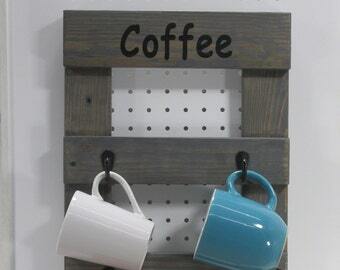 It can be used in the Kitchen, bathroom or laundry. 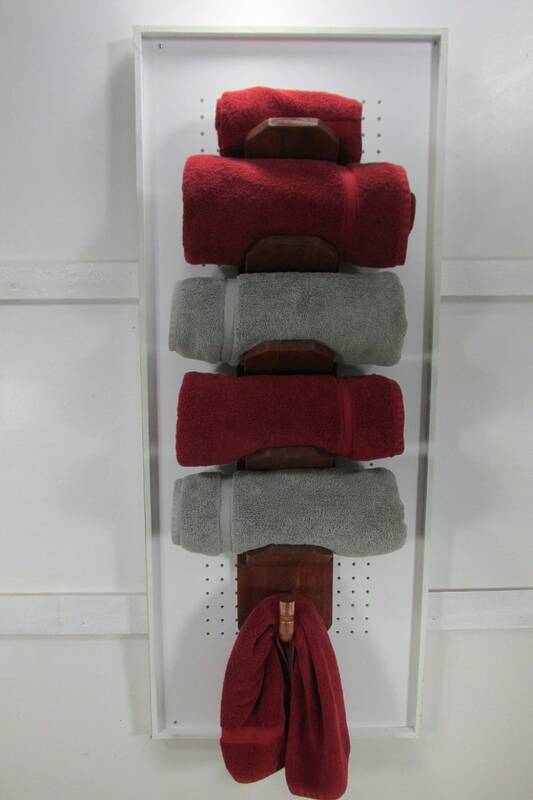 It will hold 5 bath towels and has an extra hook trimmed out with copper fittings for that country farmhouse feel. 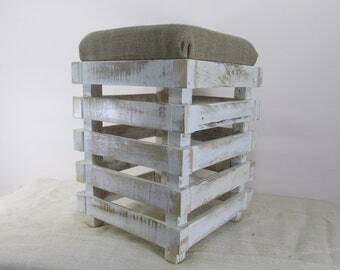 The furniture that I build is made from reclaimed pallets and industrial crating. The pallets and crates are disassembled by hand in order to reclaim as much of the wood as possible. All items are cut, assembled, nailed and finished by hand. This is done in hopes that my hard work will allow this wood many years of beauty and function. Each item is custom made. No two are the alike. Due to the nature of reclaimed wood, there will be variations in the color, grain and texture of the materials. Every item produced is really one of a kind. The Towel Rack is 36 H x 7 W x 5 D.
If this item doesn`t quite meet your needs, or if you need something a little different, pet names added, His, Hers or would like a different size based on your space, we welcome custom orders. feel free to use the "Request a Custom Order" button located "below the pictures" at the top of the page.